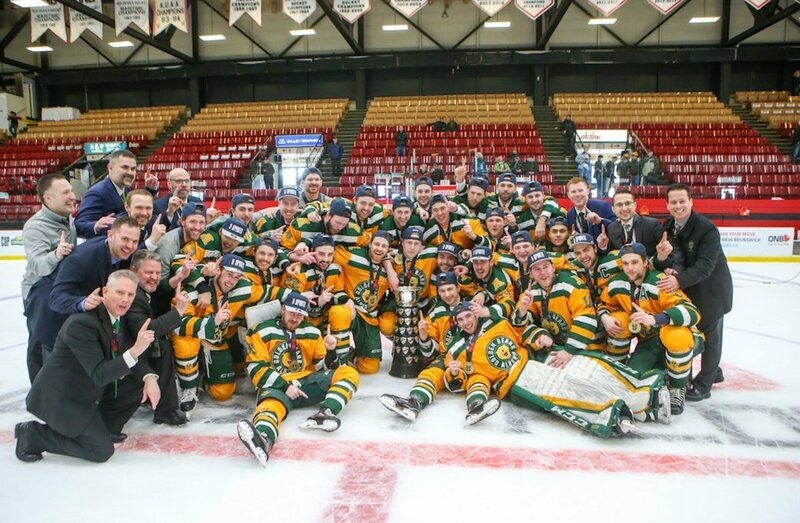 Wil Tomchuck scored the game-winning goal as the Alberta Golden Bears beat the StFX X-Men 4-2 to capture the 2018 David Johnston University Cup. 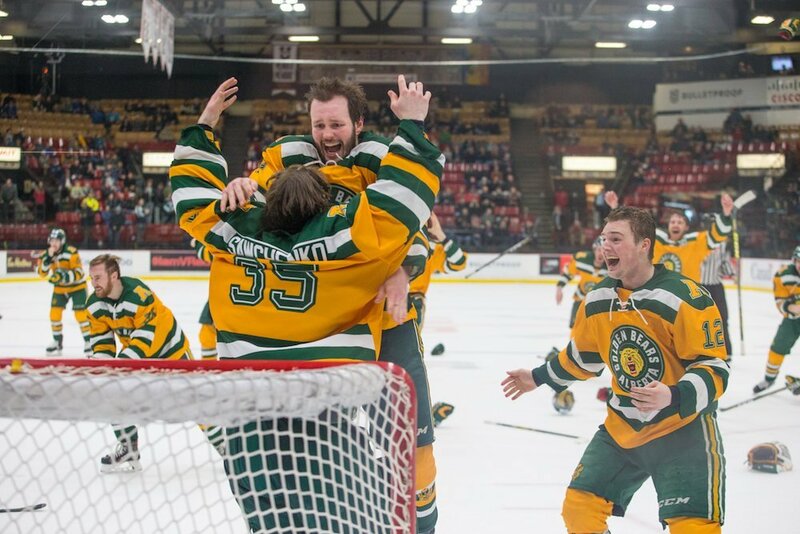 The national championship is the 16th for the University of Alberta, and first since 2015. 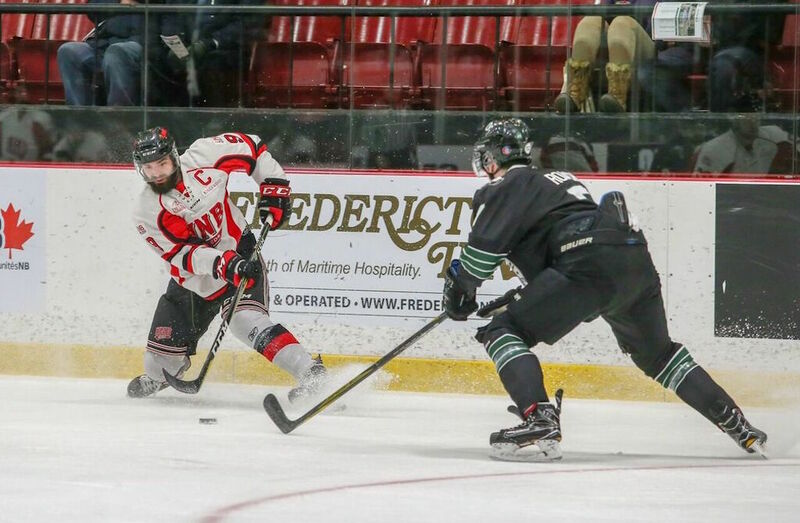 StFX opened the scoring when Daniel Robertson stripped the puck from Alberta’s Tyson Baillie and broke in all alone to score the first goal, just over five minutes into the game. Michael Clarke followed three minutes later, on the power play, putting a point shot through traffic to make it 2-0 X-Men. 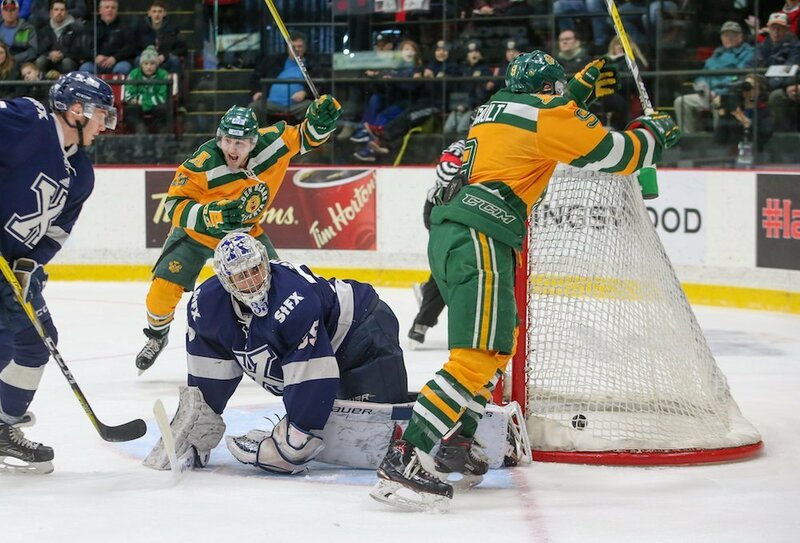 Stephane Legault responded for the Golden Bears, putting a point shot on net that trickled past Chase Marchand to cut the lead to one. “He left everything out on the ice,” said Clayton Kirichenko on Legault’s performance in the tournament. Luke Philp followed 39 seconds later, beating Marchand glove side to tie the game at two. In the final minute of the first, Bryson Cianfrone had a chance in alone but was poke-checked by Zach Sawchenko. About four minutes into the second, Tomchuck banged in a loose puck in the crease to give the Golden Bears their first lead of the game. Alberta held the lead going into the third despite facing almost six minutes on the penalty kill, which included two 5-on-3 power plays. “Those kills in the second period were huge,” said Alberta head coach Serge Lajoie. Alberta kept much of the play in the third in the X-Men’s zone, and continued their tight defensive game all the way to the final horn to seal the victory. 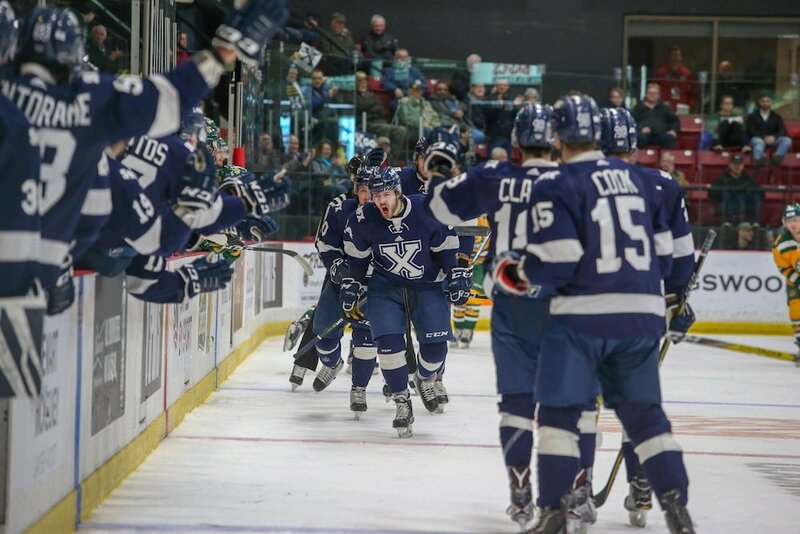 “It’s tough to get that close to something you really believe you are going to win,” said StFX head coach Brad Peddle. Jamie Crooks stripped Santino Centorame to put the game away with an empty netter. Alberta out shot StFX 27-26. Sawchenko had 24 saves in for the Golden Bears net, while Marchand had 23 for the X-Men. StFX takes home the silver medal, their second runner-up finish in three years, in their fourth straight appearance at the University Cup.